Clarksville, TN – Shortly after 4:00am today, Montgomery County Sheriff’s Deputy Randy Paddock was travelling South on Fort Campbell Boulevard when he smelled smoke. 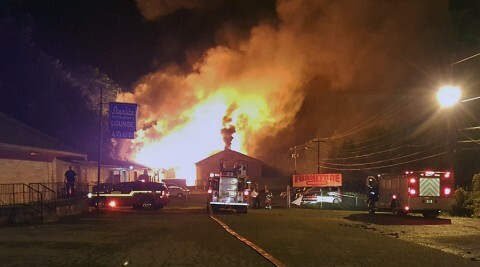 Paddock began checking the area and found a building behind the Starlite Lounge with flames shooting fifty feet or more into the air. Clarksville Fire/Rescue was dispatched at 4:04am and had to pull down a locked gate to get to the structure. Clarksville, TN – On Friday, March 14th, 2014, four Officers from the Clarksville Police Department graduated from 10 weeks of training at the Tennessee Law Enforcement Training Academy (TLETA). Officer Holden Hudgin won the Physical Training Award and the Driving Award. Both, Officer Hudgin’s and Officer Daniel Binkley’s names were added to the Physical Training Wall. Officers in order from left to right (Group Picture): James Baker, George Goodman, Daniel Binkley (PT Wall), and Holden Hudgin (PT Award, Driving Award, and PT Wall). 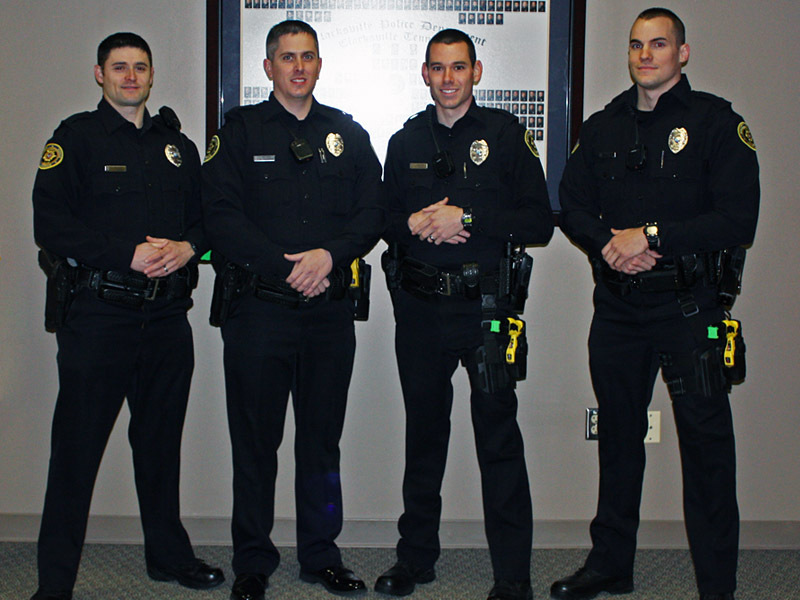 Clarksville, TN – Today, December 16th, 2013, the Clarksville Police Department welcomes Daniel Binkley, James Baker, Holden Hudgin, and George Goodman III. The New Officers’ friends and families, along with Deputy Chief Frankie Gray and other City Officials, gathered at the City Hall, while all four Officers were sworn in by Clarksville Mayor Kim McMillan. 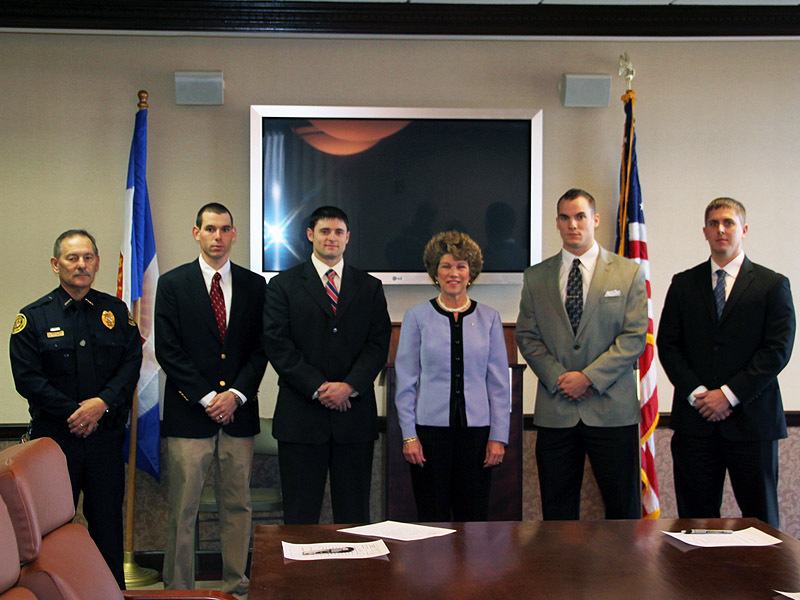 (Left to Right) Deputy Chief Frankie Gray, Daniel Binkley, James Baker, Clarksville Mayor Kim McMillan, Holden Hudgin, and George Goodman III.